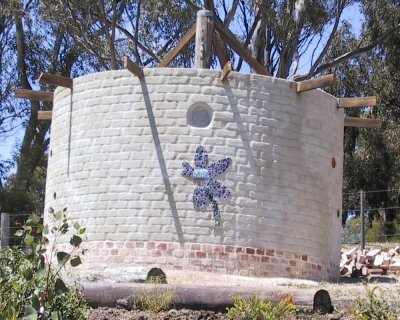 A circular building under construction at Strathewen, that would make an ideal guest residence. 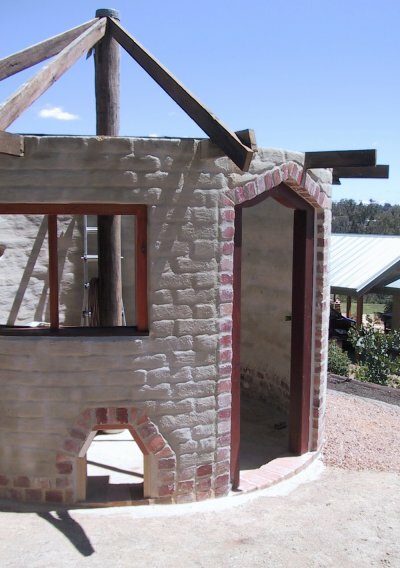 ... in fact it is going to be the client's chook house! Northern aspect of main residence. 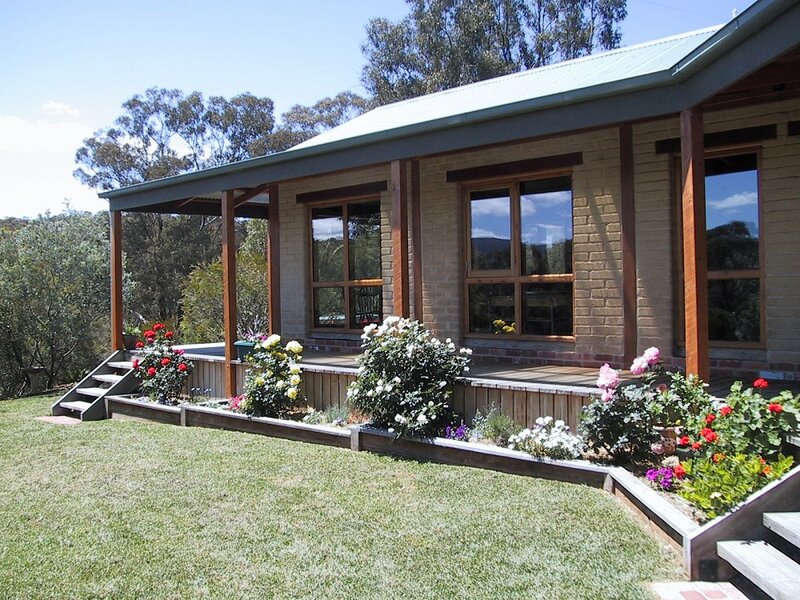 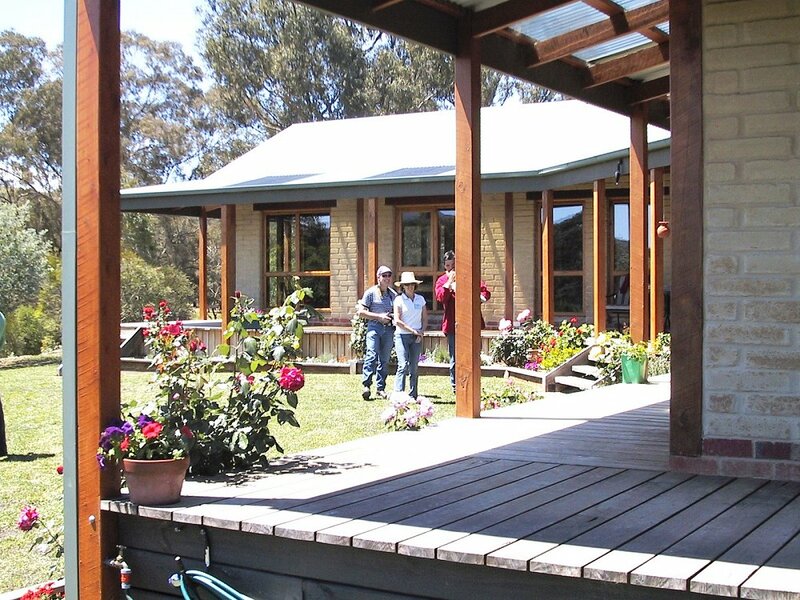 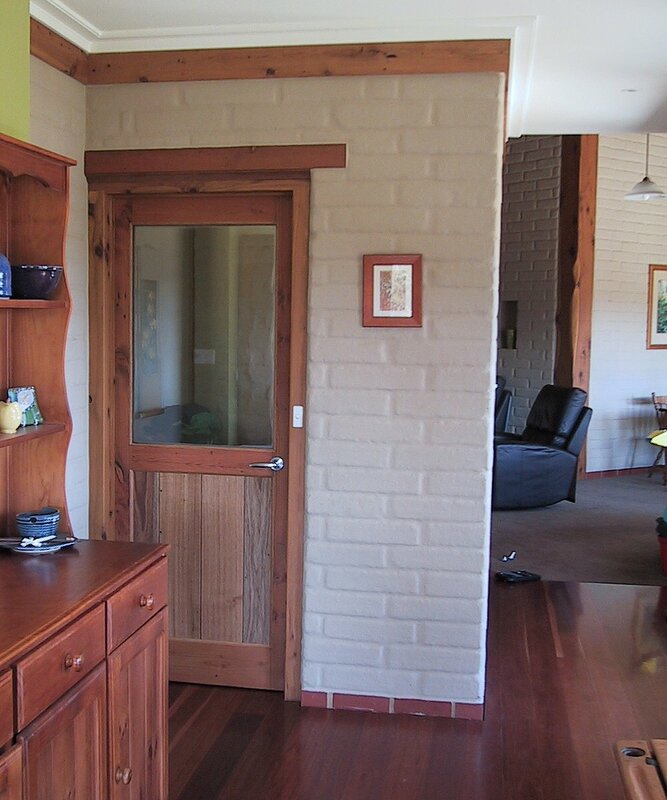 Load bearing brickwork with timber window frames and lintels, and raised verandah. 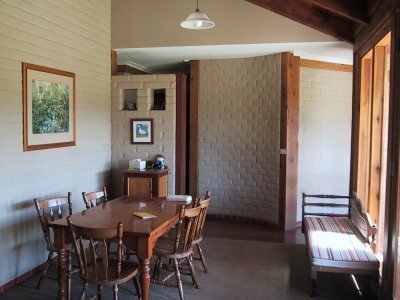 View into dining room, showing combination of straight and curved walls. Detailed corner section, showing the flush finished wall and hand-made doors from recycled timber. 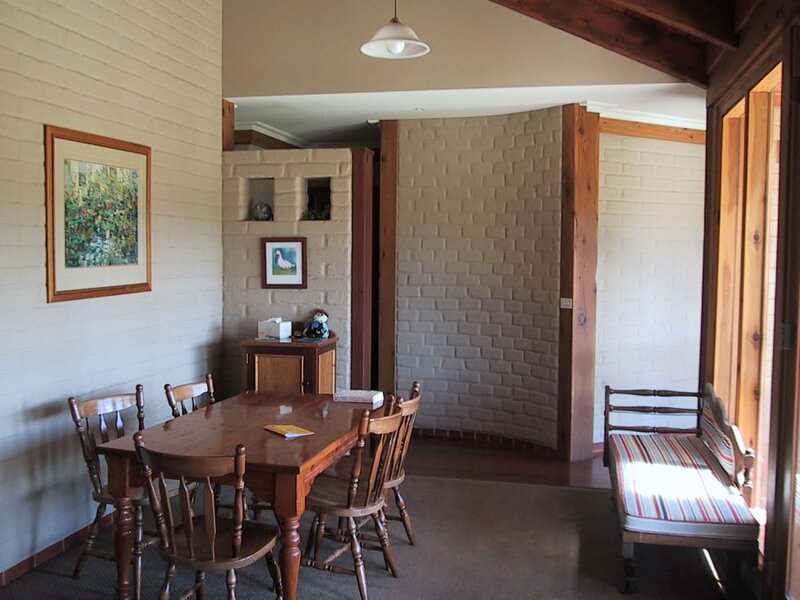 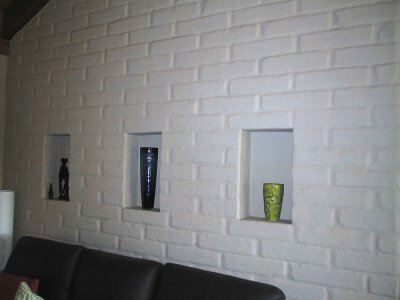 Recessed alcoves in earth wall in the rumpus room.